Innovation is all about collaboration and connection. 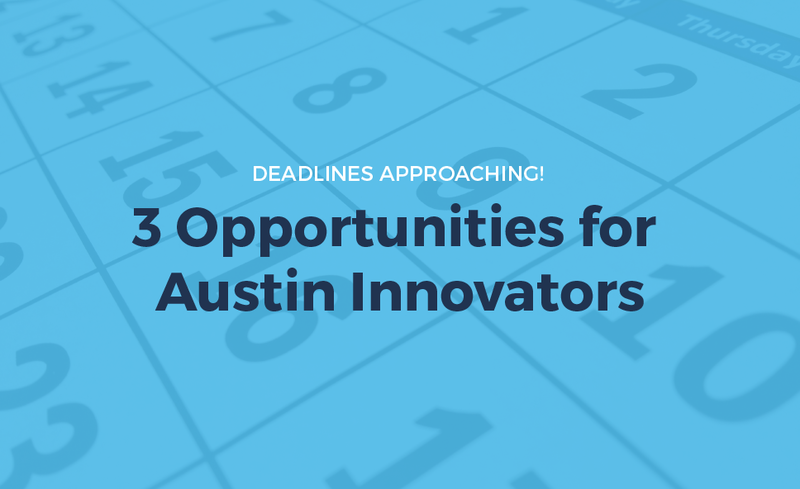 And while there are no shortage of events to attend and people to meet in Austin, we have gathered three awesome opportunities that provide a little more than networking. Deadlines are fast approaching though! The American Hospital Association is giving ten startups the chance to meet and mingle with over 150 hospital executives at their 2018 Executive Forum. If chosen, your startup will receive two free tickets to the forum with an expected attendance of 150 hospital executives. You’ll get the chance to share your product and solutions at their breakfast, Bacon & Eggs with a Side of Startup. Additionally, information about your startup will be shared with each attendee in advance. Austin Fast Start is a pitch competition held quarterly. Topics pitched follow the City of Austin's economic priorities. Last June the topic was Bio/Med Tech and this quarter they are exploring green businesses that protect the environment, enhance the community, and work to maintain a healthy workplace. Four chosen finalists will get the chance to pitch their business for audience judging and will receive $2,000 and $5,000 in in-kind prizes. This is the 22nd annual Interactive Innovation Awards hosted by SXSW. There are thirteen categories to enter in this year, including health, med, & bioTech. Five finalists in each category will receive two SXSW 2019 badges, plus space to demonstrate their work. Finalists will be judged at the Awards Showcase on Saturday, March 9th. There will also be an awards ceremony on Monday the 11th where a People Choice, Best of Show, and Winner from each category will be chosen. Speaking of SXSW, give us an upvote on our panel submission and leave a comment if there's a question you're interested in our panelist answering! Deadline for community panel voting is next Thursday, August 30th. Get these post straight to your inbox.